TOEIC® “Teaching and Learning” Expo 2014 was successfully held on 8th November, 2014 by Smart Education, the official representative of ETS TOEIC tests in South China, at Jinan University in Guangzhou. Many universities and training organizations were invited to participate. Over 100 university and English teachers attended the Expo to exchange ideas on how we could help to prepare students for success and improve their English skills. Ms. Elsa Tsang, the General Manager of Smart Education, explained how TOEIC® OLPC could help students improve their English skills. Ms. Elsa Tsang, General Manager, Mr. Vincent Cheng, Sales Director – Global Assessment Division, and Ms. Kelsey Zhang, Editorial Manager of Smart Education explained “Why TOEIC Matters to Students in China”, “How we can help students prepare for the TOEIC tests”, as well as the launch of TOEIC OLPC, ETS’s latest Official Learning & Preparation Course for the TOEIC® tests to our audience. In addition, Smart Education shared our development plan for TOEIC in South China, as well as many TOEIC success stories in our region in the past few months since Smart Education became the official representative of TOEIC® in China. 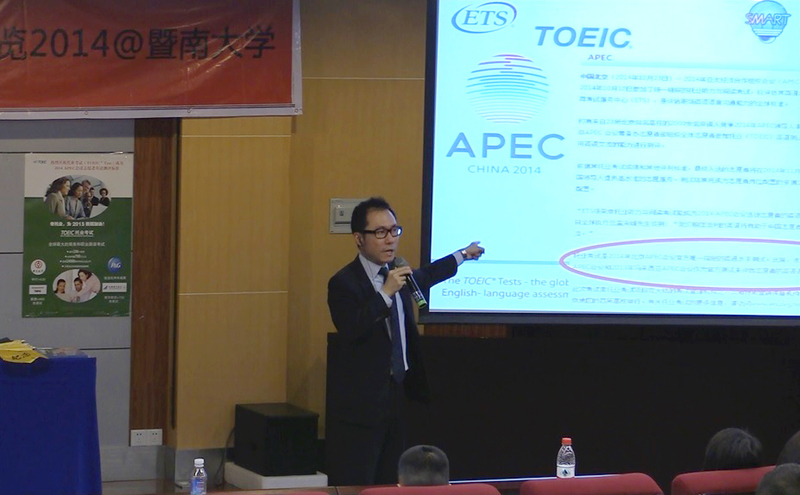 Mr. Vincent Cheng, Sales Director, illustrated “Why TOEIC Matters to students”. 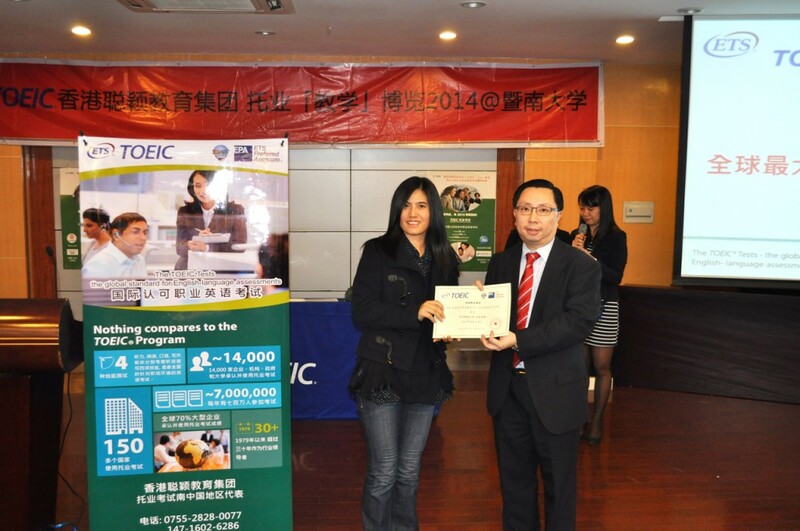 Mr. Kevin Chan, President of Smart Education, presented certificates to authorized TOEIC test centers in South China. 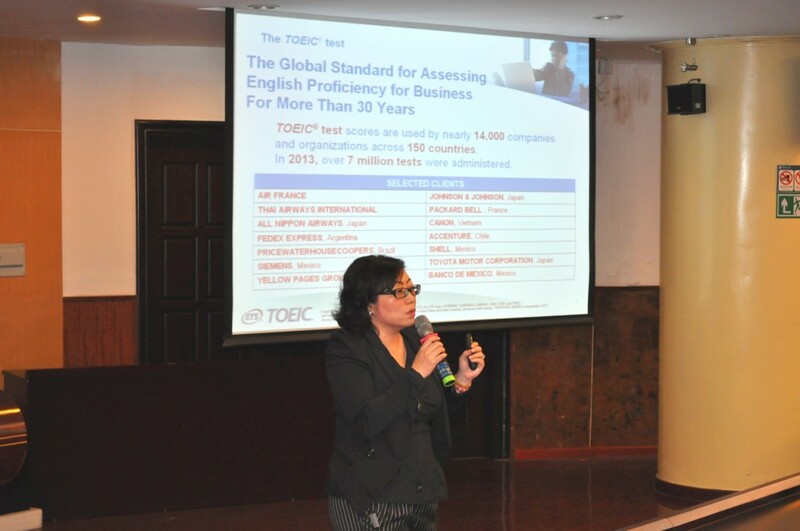 Ms. Kelsey Zhang, Editorial Manager, shared tips on how to prepare students for the TOEIC tests. Please visit www.mysmartedu.com.cn/toeic or www.TOEIC.com.hk for more information on how TOEIC® tests help over 15,000 organizations in 150 countries get ahead of the competition in the global economy.